A sure fire way to refresh your home and yourself is to remove clutter. Designate a space for everything. It will be much easier managed and also decrease stress. 1. If you don't use it, don't keep it. 2. If it's seasonal, find a place for it. 3. If it's pretty, display it. Take a little time each day to analyze the visual clutter around you. Decide if it is still useful, if not, donate it or sell it. If seasonal items tend to linger after the holidays, maybe it's because there is not a specific place for them. Under-bed storage boxes are great for these items. Invest in stylish storage and display it. Use hooks, baskets, or boxes. Canisters and jars are also great for holding laundry detergent, clothes pins and so much more. Begin this Holiday with a little less stress. If you are a homeowner or Real Estate Agent looking for staging services in the Mooresville area, call me today for more details: 704-873-3566. *Free Staging Package: Through a partnership with Realtor® Gary Fortune of Carolina Living Real Estate, all listing clients receive a free staging package. Call Gary Fortune for details: 704-658-5013. Thanksgiving is just around the corner. Do you decorate the table if your house is listed for sale? Yes, this is a great way to welcome potential buyers and is helpful even if you are not selling. But, keep it simple. 1. Lay the foundation with tablecloth, table runner, place-mats or chargers. Use a neutral color such as tan. Silverware should not be on the table when you are having showings. 2. Use natural elements such as gourds, wheat, or pumpkins as centerpieces. These are usually inexpensive and readily available at your local grocery. 3. Place autumn items listed above in containers such as wooden boxes, jars or bowls. 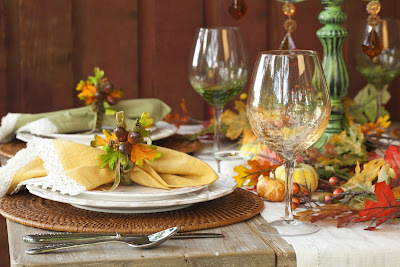 Add faux vines or leaves for napkin rings. 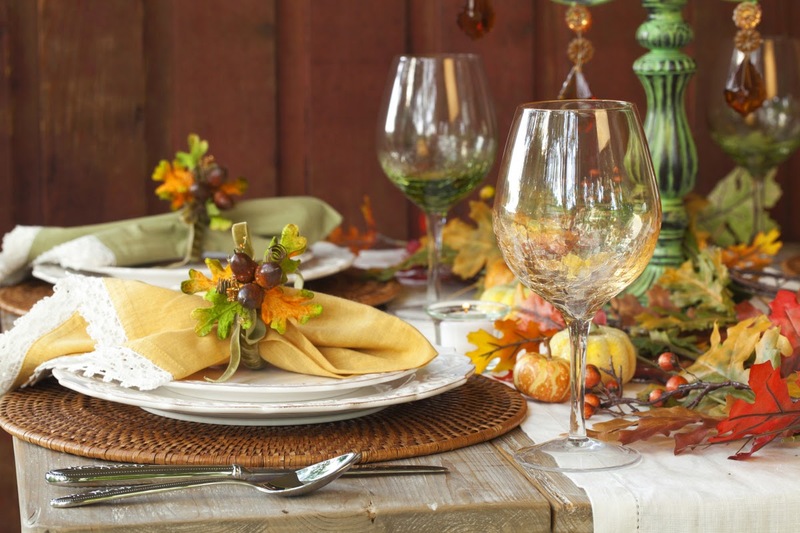 Not only does this provide a beautiful inviting table for potential buyers to enjoy, it also helps you focus on family and food - the best things about Thanksgiving. Enjoy! 1. Swapping out your throw pillows is an easy and inexpensive way to update. You can change the look of your room, without breaking the bank. Select accent colors that complement your existing palette without bringing too much attention to the pillows themselves. Use different textures and patterns - keep balance in mind. There are numerous sources for inexpensive up-to-date pillows. 2. Changing your table lamps is another way to add instant style and function to a room. Table lamps can update and change the feel of a room by adding color, texture and personality. Antique Mercury Lamps are popular options as well as colored glass, ceramic and crystal. The key is to balance the size, shape and color of the lamp with the design of the room. Whether its contemporary, classic, or transitional, great lighting adds a great finishing touch to any room. 3. Choosing the right accessories is key to updating and creating stylish, comfortable and interesting rooms. Accessories connect the old and the fresh, the new and vintage, the masculine and feminine. They can add an individual and unique look that appeals to a broad array of buyers by creating a natural, pleasant and inviting space. It's always a balancing act - not too many and not too personal. It's all about the finishing touches. Check out your local Target, Home Goods, or TJ Maxx for great ideas. Also, browse the Internet and check out the latest trends from Williams-Sonoma, Pottery Barn, or Ethan Allen to use as a guide when shopping for more affordable brands. It is how you put it together that matters. Choose items that feel like they belong together and are intentional, fresh and inviting. If you need help deciding what to use, what to choose, or what to put away and are in the Mooresville area, we are here to help. Boo! - Are you Scaring Home Buyers Away? Imagine what potential buyers would think as they walk up to your home. From the street, they see overgrown bushes and question “does anyone live here?” As they step out of their car the grass is ankle deep and they ask “should we go any further?”. One glance ahead, and the peeling paint on the handrails and posts makes them stop and think twice before taking the next step. They finally muster up enough courage to venture on to the porch, and there it is, some kind of strange mysterious stain–what could this be? As they reach for the door, out of the corners of their eyes, they see the cobwebs and the broken light fixture. They fight the urge to run. But instead, grab the grimy doorknob, push open the creaky door and are overpowered by an odorous smell; and that's it! They just cannot go in! Would you? If it's broken – Fix it! 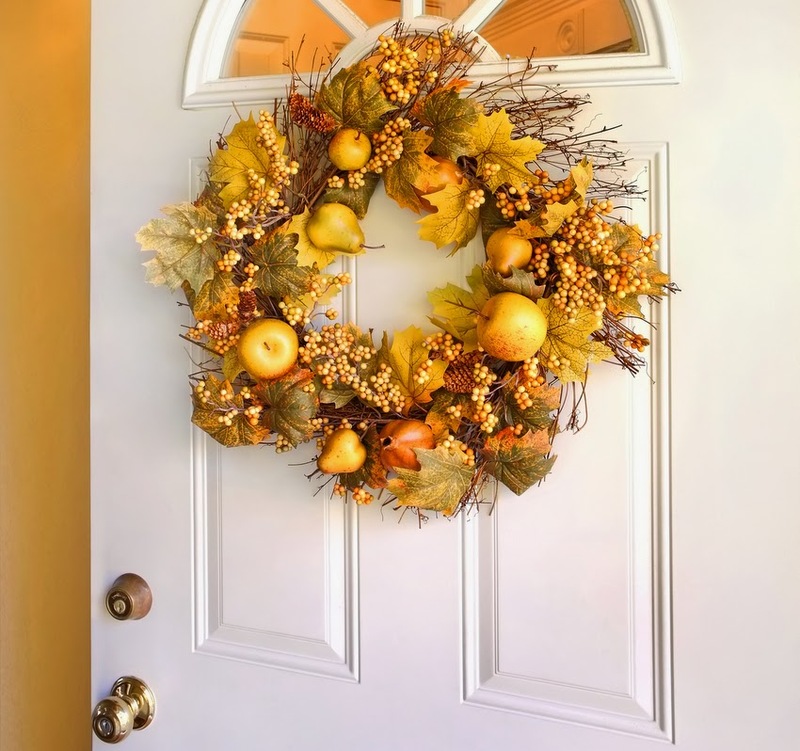 If you are having trouble determining whether or not you are scaring buyers away, I can help you see your home the way buyers do and help you beautify your home. If you are a homeowner or Real Estate Agent looking for staging services in the Mooresville area, call me today for more details: 704-873-3566. After location, one of the top reasons buyers choose a particular home is the light. Here are some easy ways to brighten up a room. 1. 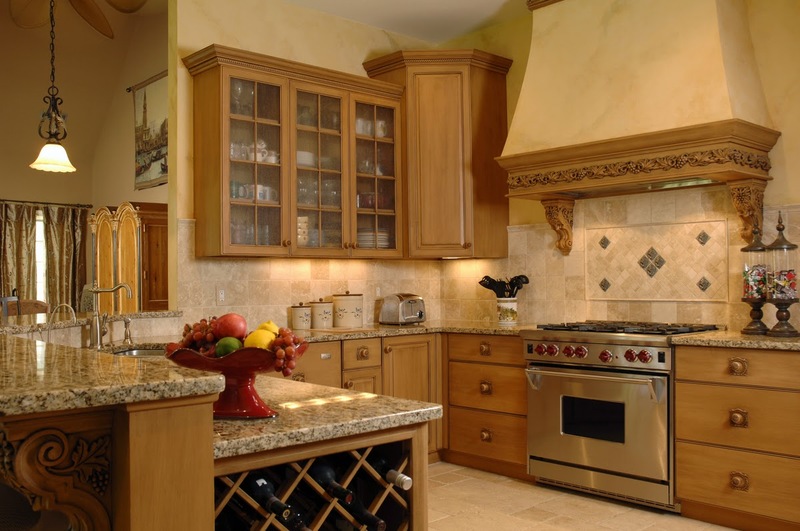 Increase light bulb wattage in fixtures and lamps. This is one of the most affordable ways to brighten up your home. Place silver or glass accessories near a lamp to bounce light across the room. 2. Clean windows inside and out. Remove the screens from the front windows and leave them off. Open your blinds or curtains to lighten & brighten the room. 3. Place a mirror across from a window, near a lamp, or in a dark hallway. Natural light is the best and least expensive; make the most of it. Mirrors help to open up small spaces and add interest to your walls. 4. Replace heavy drapes with light and airy ones. Make the windows seem even larger by increasing the curtain rod a foot or so beyond the window. This will allow more light in and make your room appear larger. 5. Trim overgrown shrub or low hanging limbs that obstruct windows. This will not only increase the amount of light that shines into the room, it will also improve your curb appeal. 6. Get a Free Staging Package if you list your home through us. We understand that lighting makes a big impact on a room. We want to make the most of what you have. 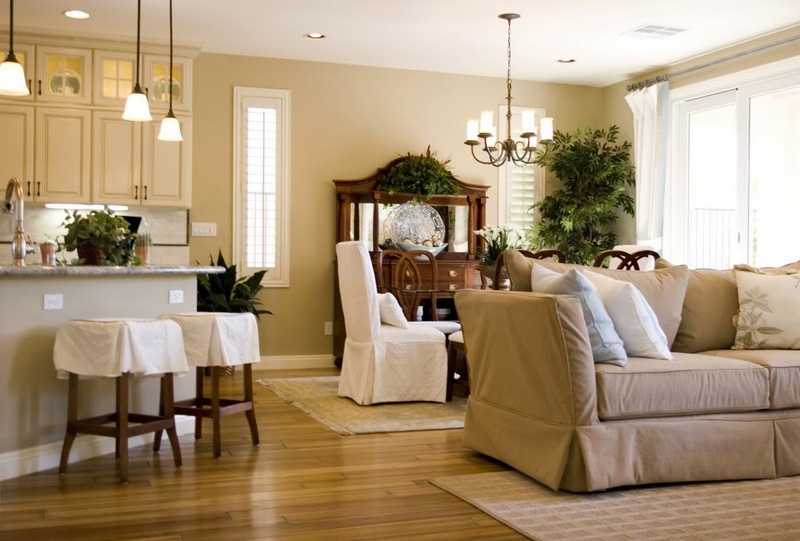 Besides lighting, there are other ways to make your rooms appear lighter, brighter, and more spacious. 9. Make the call to let us help stage and sell your home.